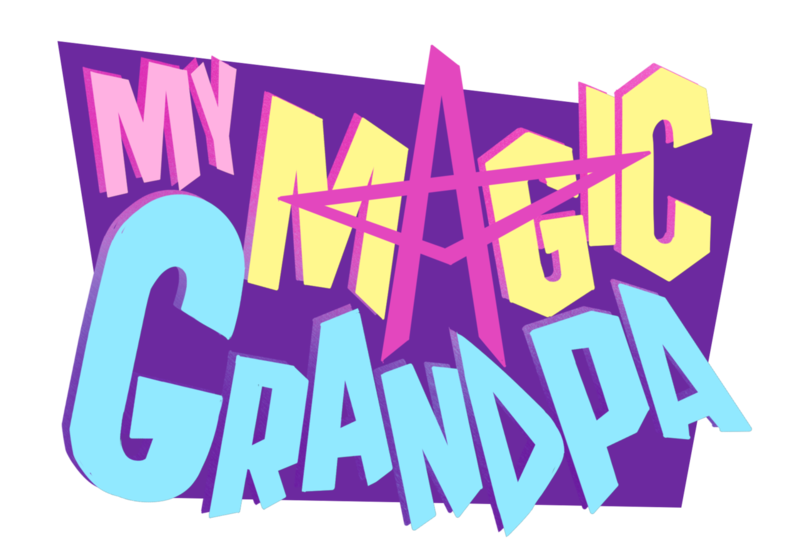 ‘My Magic Grandpa’ is something that I’m drawing in my free time, and I need the extra support to help spare that time. This is a large project, 5 seasons longs with 10 ‘volumes’ each which consist of 2-3 chapters each, and it will no doubt take me a good many years to complete. With financial boosts for the project, this time can be cut shorter and I can do things like hiring artists to help or just getting me an uber order when I don’t have food I can prepare quickly. 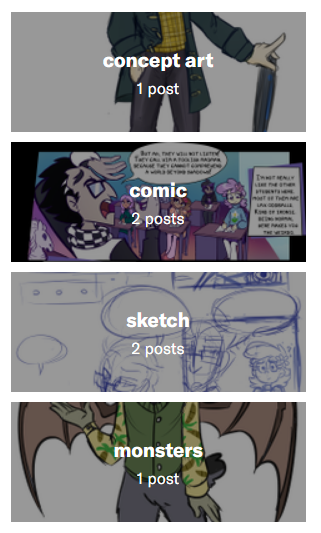 Being a comic artist is really hard work! 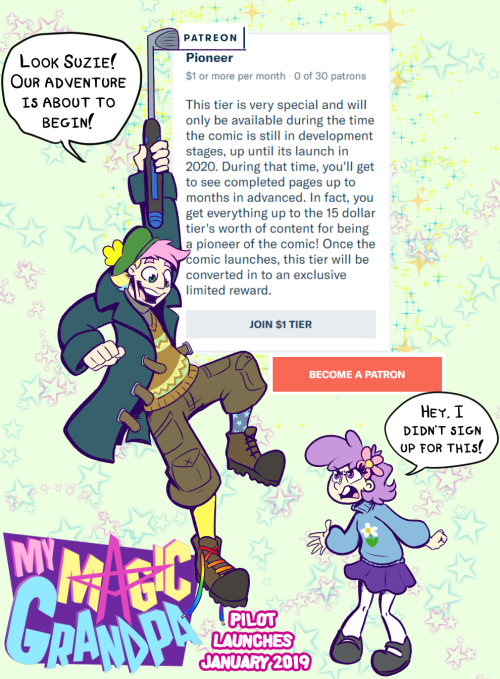 You can also join with other patrons to reach goals that can unlock new content for public viewing, like monthly crossover art, request streams, or even an official high quality dub of the comic!